Posted on February 16, 2015	by Bloch & Whitehouse, P.A. 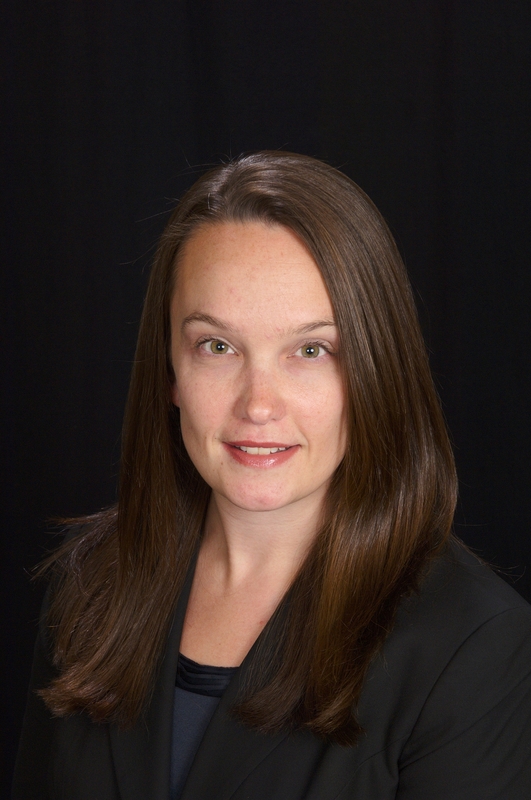 Cortney E. Whitehouse, Esquire, Bloch & Whitehouse, P.A., 8120 Penn Avenue South, Bloomington, Minnesota 55431, (952) 224-9977, http://www.mndivorcefamilylaw.com. ​Child support is an issue of great concern to separating or divorcing Minnesota parents, whether they expect to pay or receive it. It is helpful to understand the basics of Minnesota child support: how it’s calculated, what the calculations take into account, and why it’s done that way. In Minnesota, child support encompasses three different types of support. “Basic Support” refers to payments made to cover the costs of the child’s essential living expenses. These include food, clothing, shelter and other basic costs. “Medical Support” refers to payments for health and dental insurance, including payments toward the costs of health and dental insurance provided by the other parent. Medical support also encompasses payments for uninsured or unreimbursed medical and dental expenses. “Child care support” covers the expenses of child care or day care when the parents are working or attending school. Child support in Minnesota is typically determined by the official Child Support Guidelines established by the state legislature. The Guidelines operate according to an “Income Shares” model. This model takes into account the gross income of each parent, the number of children, the approximate cost of raising a child at various income levels, and the amount of parenting time parents have with the child or children at issue. Basic support is divided between the parents based on their proportionate share of combined monthly parental income available for child support, also known as “PICS.” The Guidelines for basic support are found in Minnesota Statutes 518A.35. What does gross income include? It includes income from regular employment, unemployment compensation and Social Security benefits. Military pensions are also included in gross income. If one parent receives spousal support from the other, that payment is included in the gross income of the parent who receives it, but deducted from the gross income of the payor. Public assistance or child support received for other children does not come under the heading of “gross income.” The court will take into account either parent’s obligations for non-joint children, however. In practice, the allocation of support would work like this: If a couple has PICS of $4,000, with one parent earning $3,000 and the other earning $1,000, the first parent would be responsible for 75% and second parent would be responsible for 25% of the statutory amount of basic child support based on the combined income level. The amount of parenting time ordered by the court, formerly known as visitation, figures into this calculation. If one parent has the children between 10 and 45 percent of the time, he or she is entitled to a reduction in child support of approximately 12 percent. A parent with less than 10 percent parenting time receives no reduction in child support payment. A parent with parenting time 45.1% or more of the times receives a significant reduction in his or her child support obligation. The support amount set forth by the Minnesota Child Support Guidelines is a rebuttable presumption. That is, it is presumed to be the correct amount of support, but the parties may present the court with evidence why that amount should be deviated from, either upward or downward. Reasons for deviation are referred to in Minnesota Statutes 518A.43. If the parties’ combined monthly gross income exceeds $15,000, the court will typically consider the income to be $15,000 for the purposes of calculating support, unless there is determined to be a reason to deviate from this amount. Also, Minnesota law presumes that each parent is capable of earning an income. Even if one parent is not working, the court may take potential income into account when determining a child support amount. If a parent fails or refuses to provide income information to help the court calculate support, the court is permitted by law to consider other available evidence of that parent’s income, such as work history or the testimony of witnesses. Alternately, the court may attribute an amount of income to the parent, including full-time employment at 150% of state or federal minimum wage. The Minnesota Child Support Guidelines are a complex system, which have only been briefly touched upon in this article. Whether an initial child support amount is being established, or a party is seeking a ​modification of child support, the inquiry is very fact-specific. 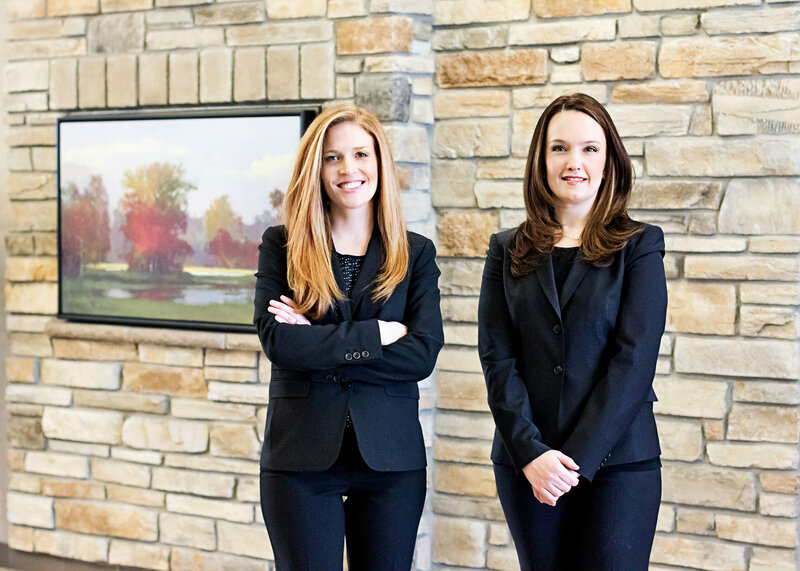 To learn how the law applies to the facts of your particular case, we invite you to contact ​Bloch and Whitehouse, P.A.​ at (952) 224-9977 to schedule a free initial consultation. We look forward to working with you. Posted on November 25, 2014	by Bloch & Whitehouse, P.A. 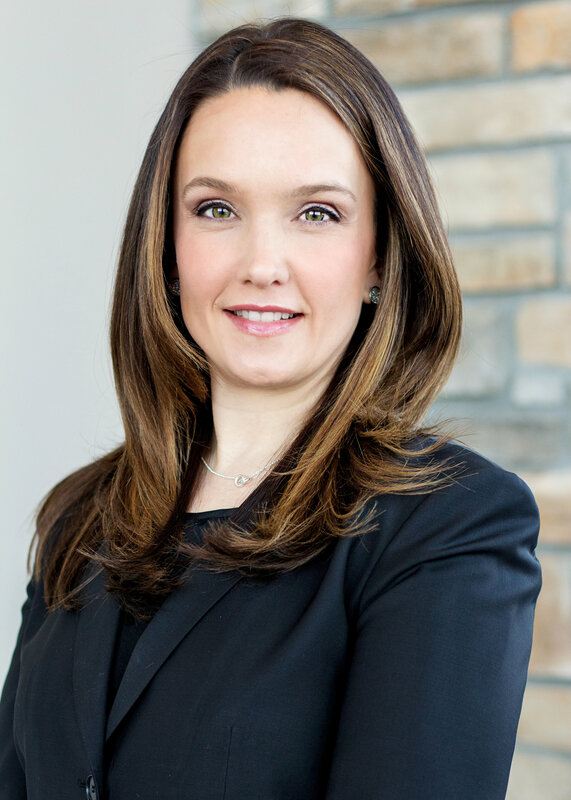 Ashley E. Bloch, Esquire, Bloch & Whitehouse, P.A., 8120 Penn Avenue South, Bloomington, Minnesota 55431, (952) 224-9977, http://www.mndivorcefamilylaw.com. For individuals contemplating divorce in Minnesota, the choice of a divorce lawyer is an important one. One important factor in choosing a divorce attorney that many people don’t consider is the attorney’s ability to involve other skilled professionals in the case as needed. The marital home is often the most significant asset divorcing couples have to divide. A professional appraisal may be the best way to arrive at an accurate valuation of the house. Such an appraisal typically costs no more than a few hundred dollars, but may yield a difference of thousands in the valuation of marital property. Other assets, such as family businesses and art collections, should be assessed by appraisers who work in those areas in order to avoid an unfair division of marital property. Many people are unaware that there are professionals called certified divorce financial analysts (CDFAs) who focus their practices on the needs of divorcing couples. A CDFA can help predict the long-term ramifications of a divorce settlement, including tax implications. CDFAs can also help reduce the financial apprehension that the divorce process causes, and help plan for a party’s financial security after divorce. Even if a divorce judgment and decree specifies that one party will be responsible for the mortgage on the former marital home, the bank is not bound by that order or agreement in the event of a default. It may be necessary for one party to assume or refinance the mortgage and for the other party to be removed from the mortgage. Until this happens, both parties remain liable on the debt. A good mortgage broker can help with this process. With the possible exception of the marital home, a pension plan is often the largest asset subject to division in a Minnesota divorce. Sometime, parties simply agree to divide the pension equally. Other times, it is necessary to ascertain the value of a pension. Determining the future value of such plans can be an incredibly complex process, and it may be inefficient for a divorce attorney to devote his or her time to this effort. Actuaries are business professionals who analyze risk and the likelihood of future events. A skilled actuary can be very useful in determining the most advantageous way to divide a benefit such as a pension in a divorce. The cost of an actuary’s services are likely to be offset by the advantage of identifying the most favorable division of pension benefits. A divorce is a dispute between a husband and wife, but if there are children, they are surely affected by the process. In the stress and tension of a divorce, even the best parents may lose sight of the children’s wants and needs. The involvement of a Guardian ad Litem to address immediate needs, provides a voice for the children in the divorce and makes sure the parents and the court take their needs into account. Arriving at longer term custody and parenting time solutions may require the participation of a custody evaluator. Not all of these professionals are needed in every Minnesota divorce, and some divorces may not require the help of any non-legal professionals. A conscientious divorce attorney will identify for clients areas in which outside help may be beneficial, especially when the outside professional offers a service the attorney does not, or can perform a service (such as the division of pension benefits) more efficiently and at a lower cost than the attorney could. To learn more about professionals who may be helpful in a Minnesota divorce, we invite you to contact Bloch and Whitehouse, P.a. at (952)224-9977 to schedule a free initial consultation. We look forward to working with you. Posted on October 30, 2014	by Bloch & Whitehouse, P.A. 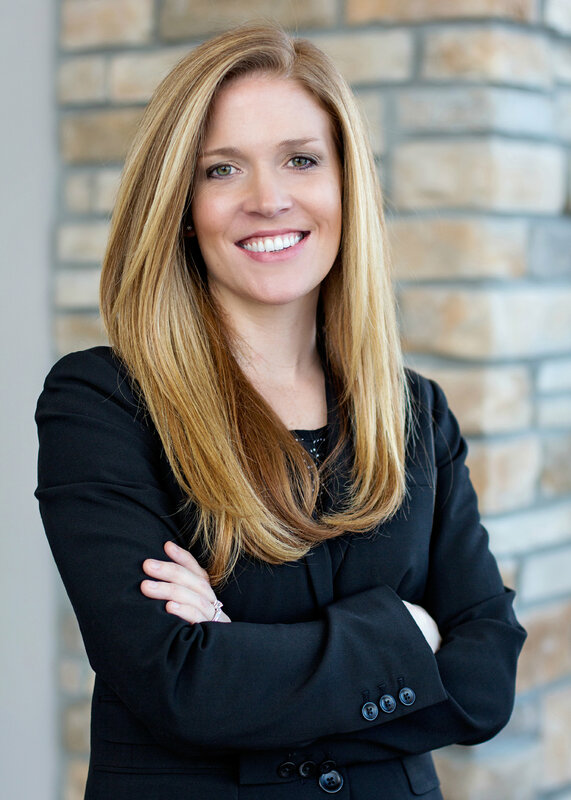 Cortney E. Whitehouse, Esquire, Bloch & Whitehouse, P.A., 8120 Penn Avenue South, Bloomington, Minnesota, 55431, (952) 224-9977, http://www.mndivorcefamilylaw.com. It’s a scene depicted in many movies and TV shows: one spouse is shown angrily throwing clothes into a suitcase, with the obvious intent of leaving the marital home and not coming back. It makes for good drama, but may not be a wise move in real life. Contrary to what many people believe, a party who moves out of the marital home has not “abandoned” the property, and does not lose any equity to which they are otherwise entitled. However, there are a number of reasons why moving out of the marital home before divorce may be inadvisable. As discussed below, there may be legal and practical advantages to staying in the marital home pending divorce. That said, no advantage is worth risking one’s safety or that of one’s children. Victims of domestic abuse who feel unsafe in the home may wish to consult Minnesota resources that can help them protect their families and move out of the home in a way that is designed to keep them safe. Moving out may jeopardize parenting time. If one parent moves out of the house, leaving the other parent in the home with the children, the departing spouse may not get to have as much parenting time as he or she desires. The spouse who stays behind will be responsible for the children, including their day-to-day schedules. Absent a temporary parenting time order, the spouse who stays could essentially control how often the children see the parent who left. Eventually, a judge will enter an order regarding parenting time. If an informal pattern of parenting time has been established over time, the judge may be inclined to order parenting time in accordance with the existing pattern. This outcome is likely to be less favorable to the parent who left the home and who therefore had limited input as to the parenting time schedule in the first place. Moving out may jeopardize one’s ability to keep the marital home. Although moving out of the marital home doesn’t jeopardize one’s share of equity in the marital home, it may jeopardize the chances of being awarded the home itself in the divorce. Simply put, a court may be unlikely to upset the status quo. If one spouse has moved out of the house, a judge may be unlikely to award that spouse the house in the divorce so that they can move back in, forcing the spouse who chose not to leave to move out. Moving out may jeopardize possessions left behind in the home. As a practical matter, it may not be possible for a spouse who moves out of the marital home to take every valued possession when leaving. Some property, like furniture, may be too large to move; the ownership of other property, such as art and collectibles, may be disputed. While neither party can prevent the other from re-entering the home in the absence of a court order, once there is a locked door between the departing spouse and his or her things, a measure of control over the property is lost. If a move out is necessary, it may be advisable for the spouse who is moving out to make copies of records showing ownership and value of certain items, and to try to take a photo or video inventory so the spouse remaining in the house can not later argue that certain items were not present in the marital home. Moving out impulsively makes it difficult to move back in. For individuals who are at all ambivalent about moving out of the marital home, moving out can have lasting negative consequences. Avoidable conflict may be created if a spouse moves out and then has a change of heart and wants to move back in. In addition, if there are children in the home, having a parent move out, then back in, can be upsetting and confusing. Proper planning always makes divorce easier. Those considering moving out of the marital home prior to divorce must plan carefully in order to preserve their rights. It’s always wise to discuss possible ramifications with an experienced Minnesota divorce attorney before moving out. We invite you to contact Bloch and Whitehouse at (952)224-9977 to schedule a consultation to learn more about moving out and divorce in Minnesota. What does a Parenting Consultant do? Posted on September 25, 2014	by Bloch & Whitehouse, P.A. Ashley E. Bloch, Esquire and Cortney E. Whitehouse, Esquire, Bloch & Whitehouse, P.A., 8120 Penn Avenue South, Bloomington, Minnesota, 55431, (952) 224-9977, ashley@blochandwhitehouse.com, http://www.mndivorcefamilylaw.com. Minnesota makes the services of both Parenting Consultant and Parenting Time Expeditors (PTE) available to families going through a divorce or child custody dispute. It can be easy to confuse these two similar terms. This article discusses the role, limitations, and advantages of a Minnesota parenting consultant. You can learn more here about Minnesota parenting time expeditors. The role of Parenting Consultant, or PC, is not created by Minnesota statute, but rather by Minnesota Court Rule 114.02(a)(10). This rule states simply that “parties may by agreement create an ADR process.” The use of a Parenting Consultant is a form of alternative dispute resolution (ADR), an alternative to going to court which many families appreciate. What is a Parenting Consultant, and How Do I Get One? A Parenting Consultant is someone who works with families, typically on an ongoing basis, to resolve disputes over parenting time issues, major decisions regarding the children (such as when parents with joint legal custody disagree about which school a child should be enrolled in), and other parenting conflicts that arise. Because of the longer-term nature of a PC’s work, much of that work takes place after the divorce decree is issued. Unlike with a PTE, a Parenting Consultant cannot be appointed in your case unless you and your child’s other parent agree to use one. You and the other parent stipulate to use a PC, and the court enters an order to this effect. The scope of the PC’s authority depends primarily on what you and your ex agree to. Some parents want the PC to address certain narrow issues; others want the ability to turn to the PC for a wide variety of matters that may arise, including financial ones. You and your ex will sign a private contract with the PC that outlines the scope of authority and whether you want the PC’s decisions to be binding. Many families opt to have the PC’s decisions be binding, but with the opportunity for review by the court. As with the use of many types of alternative dispute resolution, the use of a Parenting Consultant can offer significant savings in both time and money. Although PCs are professionals paid by the parties to a case, their services are usually considerably less expensive than paying two attorneys to file a motion and argue it in court. Perhaps even more important to some families is the savings of time in dealing with parenting disputes. In contrast to the weeks or months it may take to file a motion and have it heard and decided, a dispute handled by a parenting consultant may be resolved in days. For time sensitive issues, this can be critical. Another benefit to using a Parenting Consultant is that a PC typically has access to a broader scope of information on which to base a decision than a judge does. A Parenting Consultant can speak at length with the parties and with anyone else who may have relevant information, although in some cases the parties may have to authorize the release of information or records in writing. This ability offers the consultant more of a panoramic view of a situation, as opposed to the snapshot a judge may get. Many Parenting Consultants are mental health professionals, not attorneys. This can be something of a double-edged sword. On the one hand, mental health professionals may have a better sense of family dynamics than most attorneys. On the other hand, a non-attorney PC may not have the depth of knowledge of family law that is needed in certain situations. When choosing a PC, therefore, it’s best to consider what you want from your consultant, and whether you’re comfortable with a prospective PC, regardless of his or her professional background. One potential disadvantage of using a Parenting Consultant is that a PC may be subpoenaed or called as a witness in a court proceeding, unless otherwise specified in the court order or contract. In other words, what you tell your PC may someday be repeated in open court. If you would like to learn more about whether using a Minnesota Parenting Consultant could benefit your family, we invite you to contact Bloch and Whitehouse at (952)224-9977 to schedule a consultation. What Does A Minnesota Parenting Time Expeditor Do? Posted on August 29, 2014	by Bloch & Whitehouse, P.A. Ashley E. Bloch, Esquire and Cortney E. Whitehouse, Esquire, Bloch & Whitehouse, P.A., 8120 Penn Avenue South, Bloomington, Minnesota, 55431, (952) 224-9977, cortney@blochandwhitehouse.com, http://www.mndivorcefamilylaw.com. Despite the best efforts of Minnesota courts to create parenting time orders that are comprehensive and clear, parenting time disputes inevitably arise. Sometimes, the dispute is relatively minor, and addressing it by going to court seems excessive. Other times, the matter is so urgent that you can’t wait for a court hearing to resolve it. For circumstances like these, Minnesota has created the role of parenting time expeditor. What is a Parenting Time Expeditor? The other parent is not spending scheduled parenting time with the children. A parenting time expeditor is appointed by the court, either on the court’s own motion or at your request, that of your child’s other parent, or both. Generally speaking, parenting time expeditors must undergo at least 40 hours of family mediation training as well as training regarding domestic abuse issues. The job of the parenting time expeditor is to enforce, interpret, and clarify your parenting time order to resolve disputes, as well as to deal with circumstances your existing parenting time order doesn’t specifically address. Depending on the nature of your case, the parenting time expeditor may be appointed to resolve a single issue, or work with you on an ongoing basis to resolve various issues that may arise. The parenting time expeditor may be appointed during or after your divorce, depending on your need. A parenting time expeditor meets with you and the other parent within five days of being appointed or notified of your dispute. He or she may meet with you separately or together to understand and try to resolve your issue. If needed, the conference may even take place by telephone. There are fees for the parenting time expeditor’s services; the court divides these between you and the other parent in a way that is equitable (but not necessarily equal). The expeditor first tries, in a neutral way, to help you resolve the dispute and reach agreement on the issue. If that doesn’t work, he or she will gather all the information needed to make a decision resolving the issue, and then issue that decision within five days. One important note: your parenting time expeditor will interpret your parenting time order, but cannot make a decision that conflicts with it, unless you and the other parent explicitly agree to such a decision. What are the Advantages of Having a Parenting Time Expeditor? In addition to getting issues resolved more quickly, a parenting time expeditor can also save parents money. For disputes resolved by an expeditor, the expense of hiring an attorney to prepare and file a motion, then argue it in court, is eliminated. Parenting time expeditors also help preserve your privacy. Rather than having your lawyer argue about your conflict in open court, you discuss the matter privately with the parenting time expeditor. The final decision becomes part of the court record, but the discussion and analysis of the information presented are not disclosed. Last but not least, the quick turnaround time for the resolution of your dispute reduces stress: the stress of escalating conflict as well as the stress of waiting for your court date, then possibly waiting for a judge to render a decision. If you would like to learn more about the specifics of using a parenting time expeditor, or whether a parenting time expeditor could be helpful in your situation, we invite you to contact us at (952)224-9977 to schedule a consultation. Changes are coming to Minnesota child custody law. How, if at all, will they affect your family’s custody arrangements? No presumption for or against joint physical custody, except in cases of domestic abuse. This provision of H.F. 2722 makes the lack of a presumption in favor of joint or sole physical custody explicit. In practice, this may not change things for many Minnesota families. The effect of the law is to clarify that sole physical custody and joint physical custody are equally valid options for the court’s consideration. While there is some older Minnesota case law suggesting that awards of joint physical custody are not favored, the clear language of the revised law should take precedence. No one joint custody factor shall be considered to the exclusion of the others. Minnesota law provides for a number of factors to be considered by the court in determining whether to award joint legal or physical custody. The revised law clarifies that no one factor should be given such weight that the other factors are excluded from evaluation; all relevant joint custody factors must be considered. One of the factors courts must consider when deciding custody arrangements is “the ability of parents to cooperate in the rearing of their children.” The revised law makes clear that a disagreement between the parents on whether there should be joint or sole physical custody does not constitute an “inability to cooperate” that suggests joint custody would be inappropriate. This is a common-sense change; many parents may disagree about the ideal custody arrangement, but are able to work together for their children’s benefit in the context of whatever custody order the court makes. If the parents disagree, the court must make detailed factual findings regarding the custody factors. The few words added to the law with regard to factual findings are a sensible practical change. If parents disagree as to whether joint or sole physical or legal custody should be awarded, the court must make detailed factual findings with regard to each of the custody factors, and explain how those findings led to the court’s determination of which arrangement would be in the children’s best interests. This forces the court to articulate its thought process, and provides greater clarity for everyone. The court may reserve determination about establishment or expansion of future parenting time. This is a bit of a double-edged sword. On the one hand, it allows for flexibility as family situations change, such as when evolving parenting time arrangements are appropriate as very young children grow. Similarly, if a parent is struggling with issues, such as substance abuse, this change allows for ease of increasing parenting time as the parent brings his or her issues under control. On the other hand, this reservation of power on the part of the courts creates an atmosphere of uncertainty for both children and parents. Prior to the revision of the law, a significant change in circumstances was necessary before courts could order a substantial change in parenting time. The revised law suggests that the court now retains the power to make such a change based on “the best interests of the child,” absent any change in circumstances. Increasing one parent’s parenting time may not equal a restriction of the other parent’s parenting time. Language added to the law by H.F. 2722 states: “A modification of parenting time which increases a parent’s percentage of parenting time to an amount that is between 45.1 to 54.9 percent parenting time is not a restriction of the other parent’s parenting time.” “Restriction” has a particular meaning under Minnesota law. Because the revised law specifies that an increase of parenting time to the level indicated is not a restriction of the other parent’s parenting time, no evidentiary hearing is required. Theoretically, then, a parent who currently has 15% parenting time could receive an increase to 50% simply by filing a motion (or repeated motions) with the court – a pretty significant change from prior understanding. In general, the revisions to Minnesota custody law taking effect are helpful, but may not be ideal, depending on your position. Custody matters remain fraught with conflict, and having the counsel of an experienced family law attorney is always a good idea. If you have concerns about what changes in Minnesota’s custody law means for you, we invite you to contact our Bloomington, MN attorneys at (952) 224-9977 to schedule a consultation. Posted on September 9, 2013	by Bloch & Whitehouse, P.A. Cortney E. Whitehouse, Esquire, Bloch & Whitehouse, P.A., 8120 Penn Avenue South, Bloomington, Minnesota, 55431, (952) 224-9977, cortney@blochandwhitehouse.com, http://www.blochandwhitehouse.com. A parenting plan is an agreement regarding custody and parenting time that includes (a) a parenting time schedule, (b) a designation of decision-making responsibility regarding health care, education and religion as it relates to the child(ren); and (c) a method of dispute resolution, i.e., mediation, parenting consultant, etc. A parenting plan is different from a traditional court order regarding custody and parenting time in that it typically does not contain designations of who has sole or joint physical or legal custody of the minor child(ren) except for enforcement outside of the State of Minnesota or the United States where such designations are required. The absence of need for the argument regarding custody labels enables parents to be more child-focused in their decision making regarding where the children will spend their time and the like. In addition, parenting plans are often much more detailed than traditional custody orders insofar as they typically address parenting philosophies regarding homework, nutrition, technology, extracurricular activities and more.